Security expert, Dr Kwesi Aning, says unless law enforcement agencies get a grip on the demographic changes in the cities and how they are leading to unplanned urban spaces, more dangerous robberies will be experienced. The Director of the Faculty of Academic Affairs & Research at the Kofi Annan International Peacekeeping Training Centre (KAIPTC) is, therefore, urging security agencies to intensify their intelligence policing to win the fight against crime. 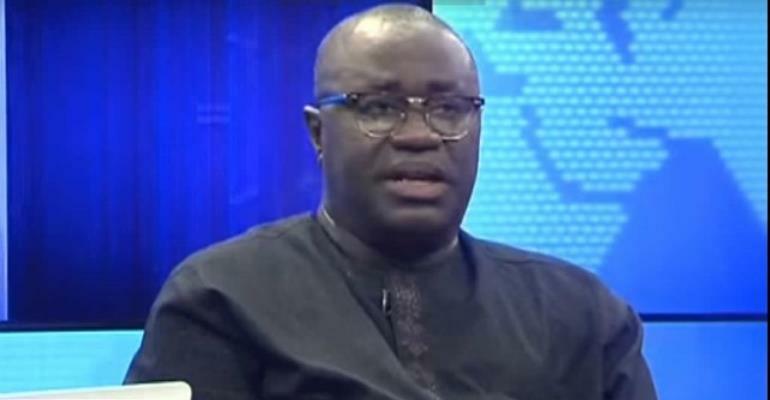 Dr Aning’s comments during a discussion on PM Express on the Joy News channel on Multi TV on Tuesday comes amidst rising armed robbery cases in parts of the country, particularly in Accra and Tema. “We have failed to protect ourselves in understanding how democratic expansions and unplanned urban expansions and availability of small arms pose law enforcement challenges. So the failure is our own making,” he said on the current affairs programme hosted by Nana Ansah Kwao IV. Revealing figures from a study he conducted using information from the Ghana Police Service and other sources, he said there has been an exponential growth in all five major crimes across the country since 2012. Zooming on 2017 and 2018 figures, he said for car robberies, two cases were recorded in 2017, but by January 2018 January, there have been 10 cases. Also, in 2017 the number of residential robberies stood at 26, however, in 2018 the figure shot up to 31. For robberies at work, there were only two cases in 2017 but 2018 recorded 5 cases. For street robberies, there were 21 cases in 2017 but the cases more than doubled in by one year, hitting 43 cases in 2018. “So we are seeing almost a 45 percent growth in the five major crimes in Accra within the space of a year,” he said on PM Express. Reports of robberies in Accra and Tema in the Greater Accra Region have generated public debate about their ability to protect lives and properties. On Tuesday, armed robbers stormed Royal Motors, an automobile company in Accra, and made away with the company's sales in a stunning daylight robbery. Also, the Ghana Association of Forex Bureaux says its members are living in constant fear following incessant armed robbery attacks on them in Accra and Tema. This year alone, over 20 forex bureaux have so far been attacked by armed robbers in Accra and Tema in the Greater Accra Region. On PM Express , Dr Aning urged the government to invest in the law enforcement agencies and retool them to fight the current trends in crimes. “Less than five percent of crimes in this country are solved. 82 percent of crimes are still ‘being investigated’….so we have a backlog of crimes that have not been solved and it creates the impression that your ability to commit a crime and be free is pretty high," he said. Revealing more figures from his study, Dr Aning said in the first quarter of 2017, for example, there were about 18,000 crimes in Accra and out of this number, 7.5 percent were sent to court, only 2 percent were convicted, 0.11 percent were acquitted, 5.37 percent are still awaiting trial, 11 percent were undetected and 82 percent are still under investigation.